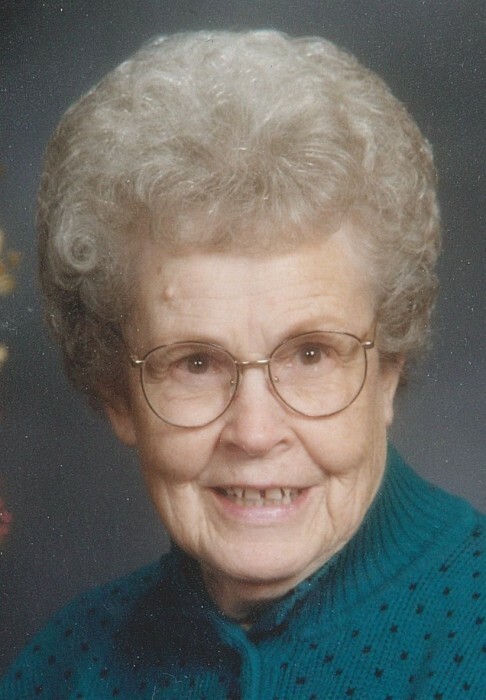 Margaret L. Miller, age 99, a former Cardington resident, went to be with her Lord on Friday Nov. 23, 2018. She was born March 29, 1919 in San Diego, California to the late William and Clella (Potter) Latta. Margaret was a 1937 graduate of Santa Monica High School. She was a former teacher and aide at the Whetstone School and gave private piano lessons in her home. Margaret was a longtime member of the Cardington Church of the Nazarene where she played the piano and organ for the congregation. She took care of her husband, Paul for 45 years. On April 16, 1941 in Santa Monica, CA. Margaret married Paul E. Miller and he preceded her in death on May 6, 1996. Margaret is survived by her 3 children; Kenn (Barb) Miller of Nashville, TN., Judith (David) Dye of Cardington, and Anita Dollens of Bloomington, IN; 9 grandchildren; 19 great-grandchildren, 3 great-great-grandchildren, numerous nieces and nephews. In addition to her parents and husband, Margaret was proceeded in death by her sister Wilma Preston, and son-in-law James Dollens. Friends may call on Thursday, November 29, 2018 from 6:00 to 8:00pm at Gompf Funeral Home, 440 Center St. Cardington, Ohio 43315. A viewing will be held Friday, November 30, 2018 from 10:00-11:00am with the Funeral service immediately following at the Cardington Church of the Nazarene, 328 Water St. Cardington, Ohio 43315. Burial will follow the service in Glendale cemetery. Those wishing to make a memorial donation in Margaret’s memory are asked to consider Cardington Church of the Nazarene, 328 Water St. Cardington, Ohio 43315. To share a memory of Margaret or to send a condolence to the Miller family, please visit www.gompffh.com.